Emotions and facial expressions can be confusing for kids with autism. Not only is this true for Liam, but he also struggles to understand voice tones. With that said, this week we are focusing on emotions. 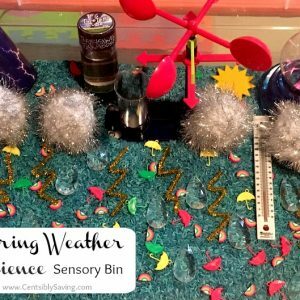 I created an Emoji Sensory Bin and this Inside Out sensory bin to fulfill his tactile needs and facilitate conversation about emotions and the reactions they can provoke. Liam seriously struggles to understand facial expressions and voice tones. 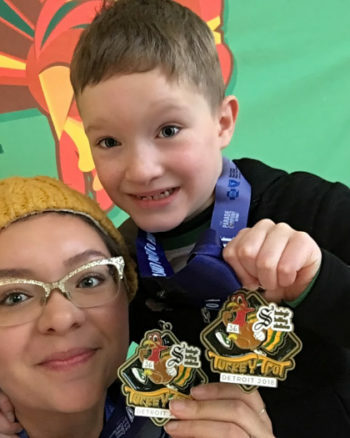 Although he now understands the difference between angry yelling and loudly cheering for your team, he doesn’t understand when someone’s tone is intense due to a passionate conversation, a retelling of a dramatic incident, or a naturally loud talker. When he experiences any of these things, real or perceived, he shuts down. Anxiety (fear) takes hold and doesn’t let go, especially if there wasn’t an appropriate or immediate solution to whatever the situation was. Independence, language, and the ability to effectively share how he feels ALL regress. 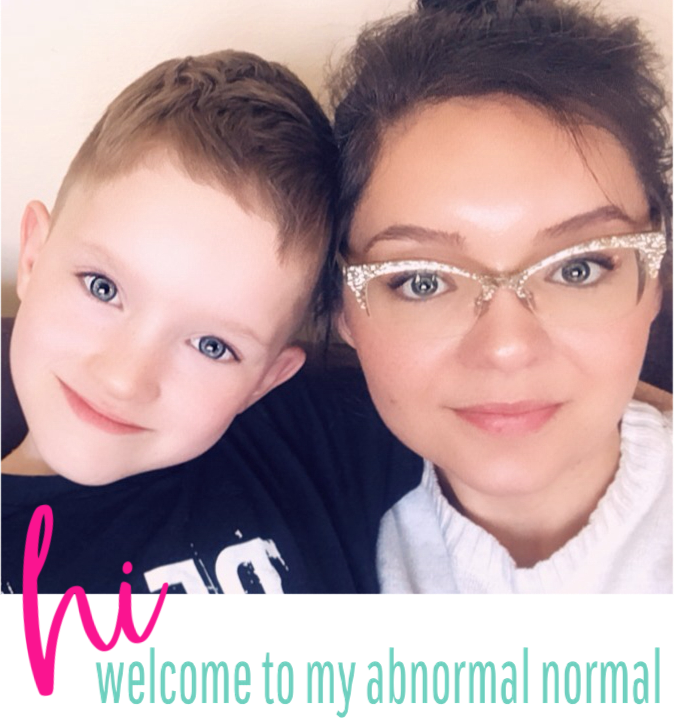 His ability to focus and cooperate during work time (the hard stuff during homeschool) is GONE and a small nudge could feel like being pushed off a wobbly bridge hanging above the abyss. And that quick, I can lose my kid. 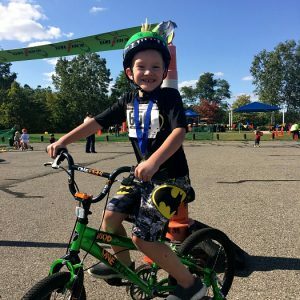 If you or your kid struggle with anxiety, YOU KNOW! 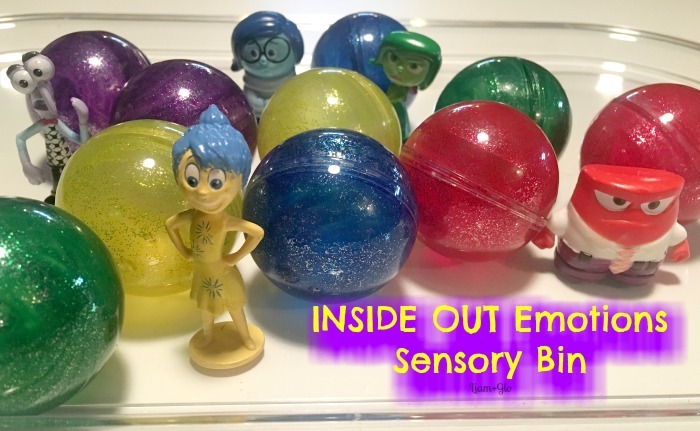 The materials and manipulatives used in this Inside Out emotions sensory bin are pretty simple. 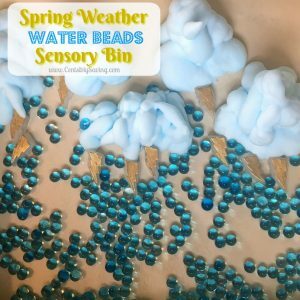 The base of this Inside Out sensory bin is multicolored water beads. These can be found almost anywhere. The small Inside Out figurines are from a Disney Busy Book. I can only ever find these books at Barnes and Noble. 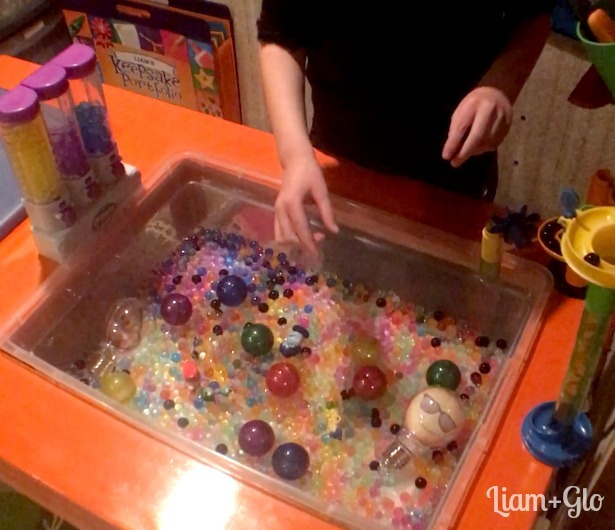 The big colored orbs are intended to be slime containers from a slime kit Liam got for his last birthday. It took FOREVER to get them unscrewed. Once unscrewed, I used Crayola glitter tempera paint on the inside, dried for an hour and screwed them back together. I put a marble run on the side of the table to allow small beads to roll down and drop into the bin. There is also a 3-container dispenser on the other side of the table, which was a huge hit! 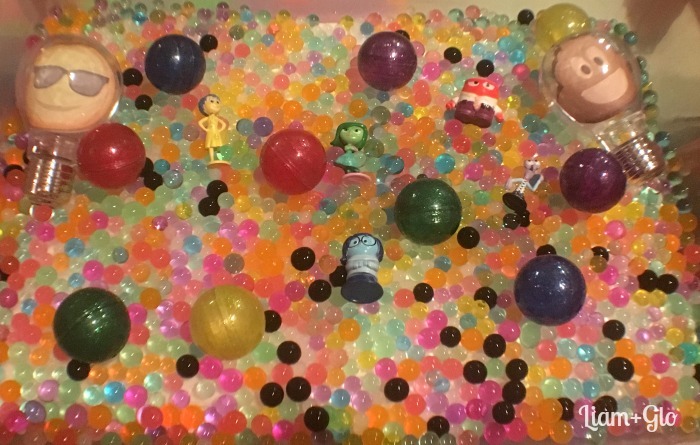 That is a piece from Liam’s Orbeez Crush- Sweet Treats Studio set, I found at a thrift store. You can take a peek at some of the materials and manipulatives used. I also mention where I purchased materials. Watch this video tour of our emotions themed unit bin. 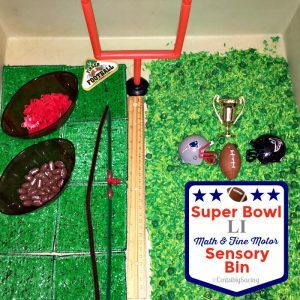 This sensory bin was entirely conversational, although for length purposes I’ll give you the highlights. 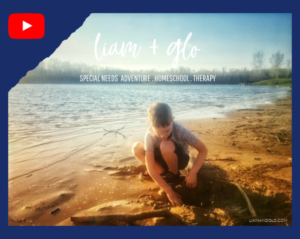 Liam played how he wanted, adding more tools to explore while I asked questions and shared stories to provoke conversation. The movie, Inside Out, helps a lot to visualize what those core emotions (joy, sadness, anger, disgust, fear/anxiety) feel like and look like. Liam liked reenacting the movie, which was great for his ability to recognize how behaviors, faces, and tones change with feelings. Applying that to real-life is not that easy, but having a fun model like the movie definitely makes it easier. We discussed how these emotions can make our bodies feel (hearts race, busy mind, uninterested, lonely, etc). I explained no emotion is bad. Anger, sadness, fear, disgust, joy are natural feelings for everyone. We talked a lot about how fear, anger, and sadness can easily conjure “poopy bad ideas.” He recalled the part in the movie when Riley ran away. 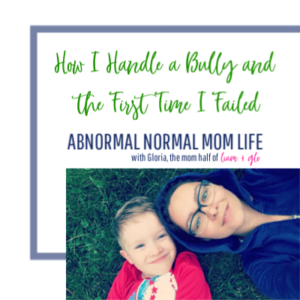 We took turns sharing occasions our emotions overwhelmed us and provoked “poopy bad ideas” and times we turned those ideas into poopy bad choices or actions. I have a mantra I share with Liam often; you can’t control how you feel, but you must control how you react. My biggest challenge is explaining adult’s poopy bad choices/actions. 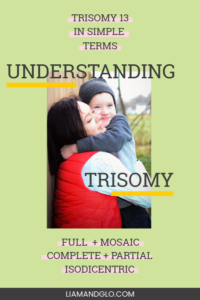 This past summer, we experienced an extraordinarily traumatic incident at the hands of “family.” This caused an immense amount of regression, anxiety, fear, and confusion. Things like this can only be handled with honesty. It’s something that I doubt will be resolved, as I’ve learned this person has a history of outburts and displacing accountability. However, the affects are something Liam and I still work through. Like Riley learned in the end, communication is key. Liam has gotten really good at communicating with me. 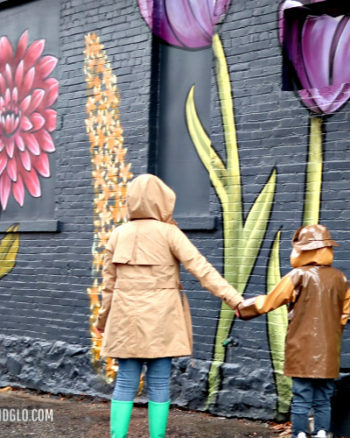 Not only is he getting good at communicating “simple” things to me (mom, I’m going here and doin’ this), but we have been able to sit and talk honestly and candidly about the things that are going on in our heads. He’s now asking me for help to “sort out his brain” when feelings get too big and confusing for him handle alone. Liam also struggles with understanding figurative language. 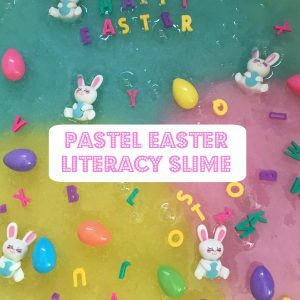 We had a little incident at Starbucks recently, which had me thinking about Figurative Language and Autism Teaching Moments. How do ya’guys talk about big feelings? 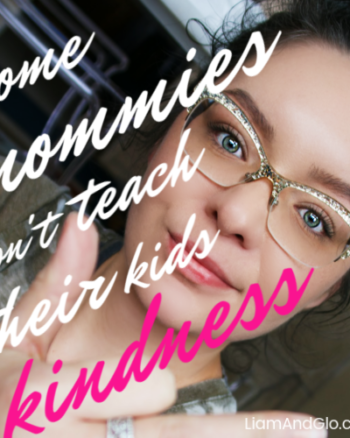 That movie was such an eye opener for my kids, and knowing it was OK to have these emotions and to be able to label them in such a way. My oldest is hitting the tween years, so we are definitely having a lot more conversations about the up and down emotions that are coming her way.